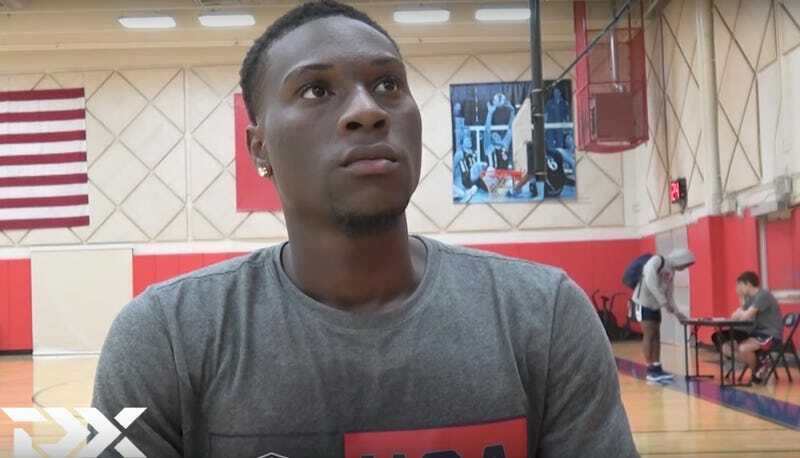 According to arrest records from Orange County (Fla.), five-star basketball recruit Emmitt Williams was arrested early Wednesday morning in Orlando and charged with one count of sexual battery and one count of false imprisonment. Williams, 19, was booked by Orlando PD at around 12:40 this morning and was held on $3,500 bond. The accuser, whose name is redacted from the warrant, said Williams began following her around and imprisoned her against her will. The warrant says that Williams began touching her, and she told him she did not want anything sexual to happen between them. According to the warrant, the accuser said Williams ignored her, pulled down her pants and raped her, fighting off her repeated attempts to stop him. Williams had a visit to Florida scheduled for this weekend, although it has since been cancelled.